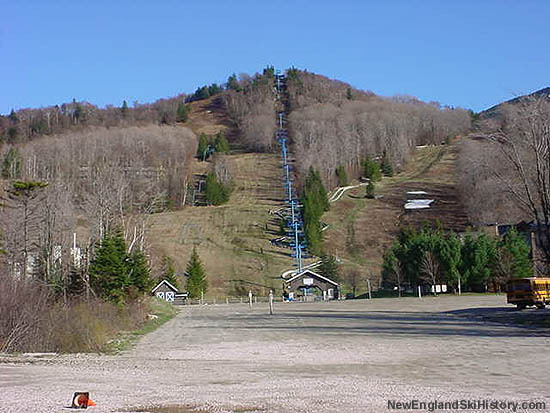 After operating for three seasons as a rope tow area, Pico underwent a dramatic expansion for the 1940-41 season. 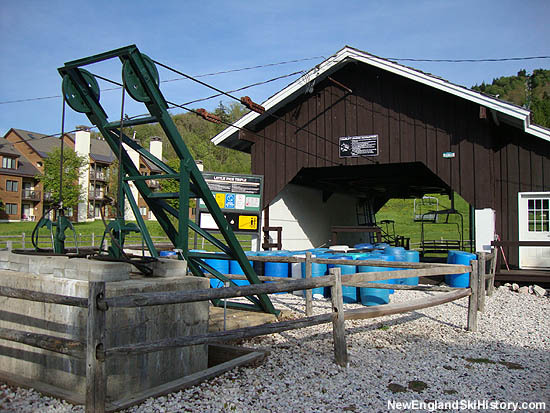 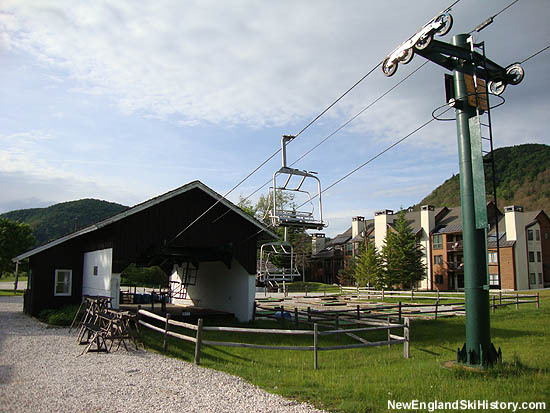 Previously, an attempt had been made to build a cable-sled lift to the top of Little Pico. 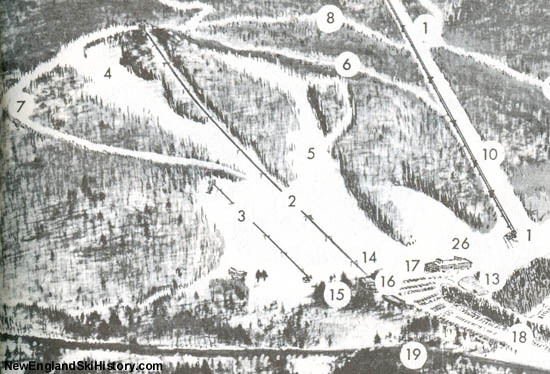 Proving to be unsuccessful, the Meads ordered a lift they had seen in Europe - a T-Bar. 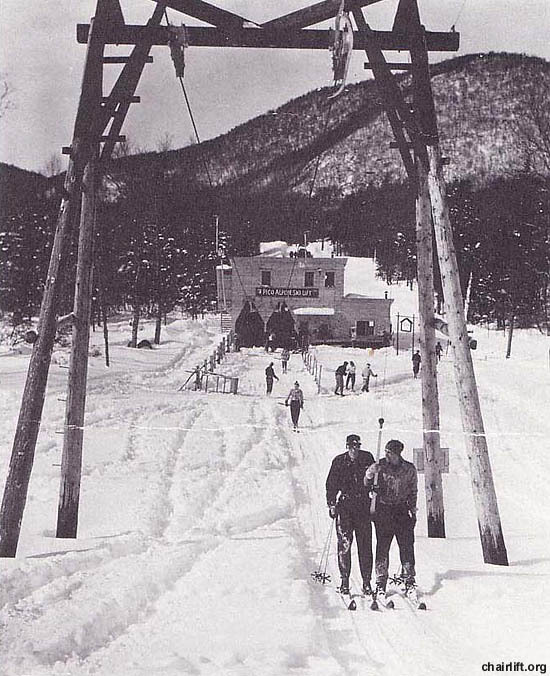 Serving nearly 650 vertical feet, the new Constam brand T-Bar opened in January of 1941 and quickly made Pico a world class ski area. 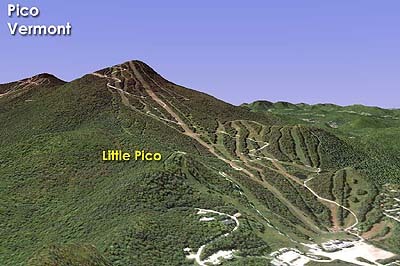 A J-Bar would later be added adjacent to the Little Pico T-Bar. 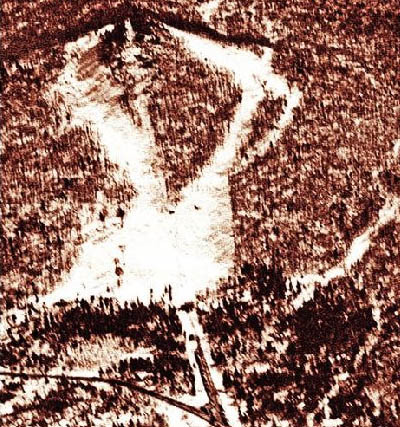 The J-Bar would then eventually be upgraded with a T-Bar. 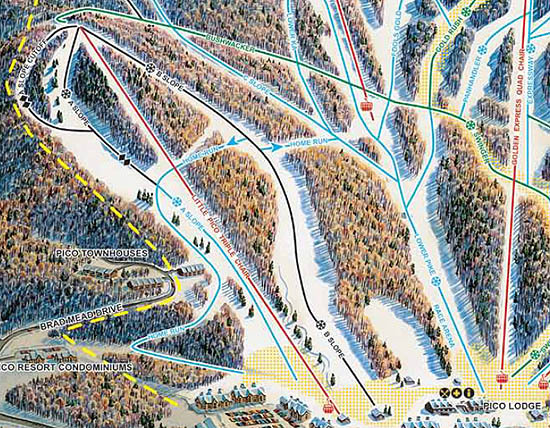 The T-Bar would disappear from the trail map in the early 2000s. 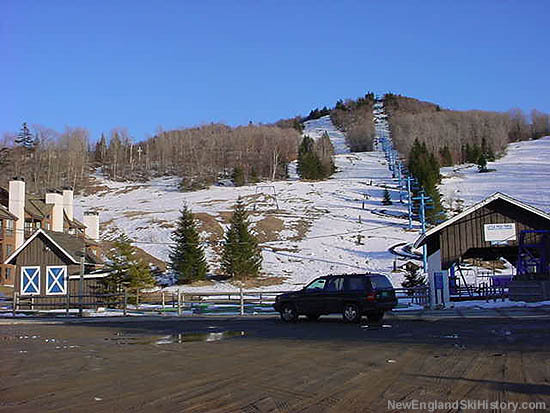 In 1980, the Little Pico T-Bar was replaced with a new 2,201 foot long by 635 foot vertical Hall triple chairlift. 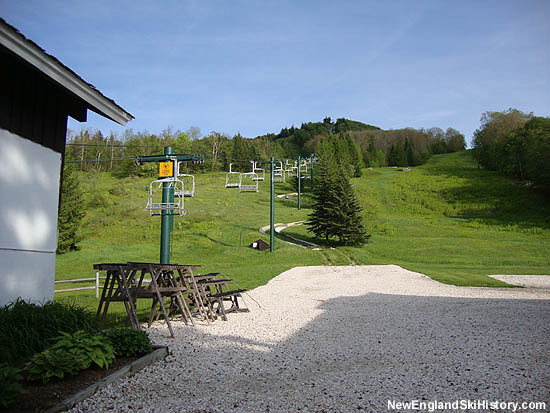 The lift also serves the alpine slide in the warmer months.